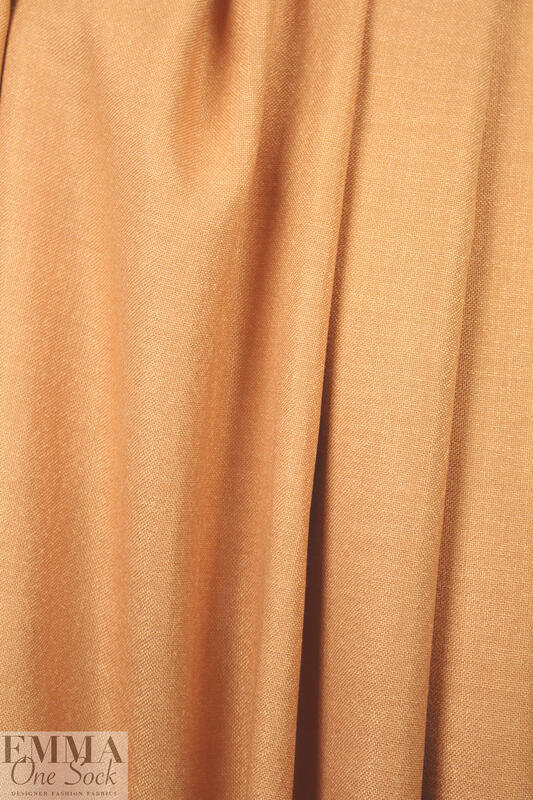 From the designer Khaite, this drapey textured viscose/nylon woven is a soft tweed that is suitable for dresses, slacks, jackets, skirts, shawls, tunics, etc. 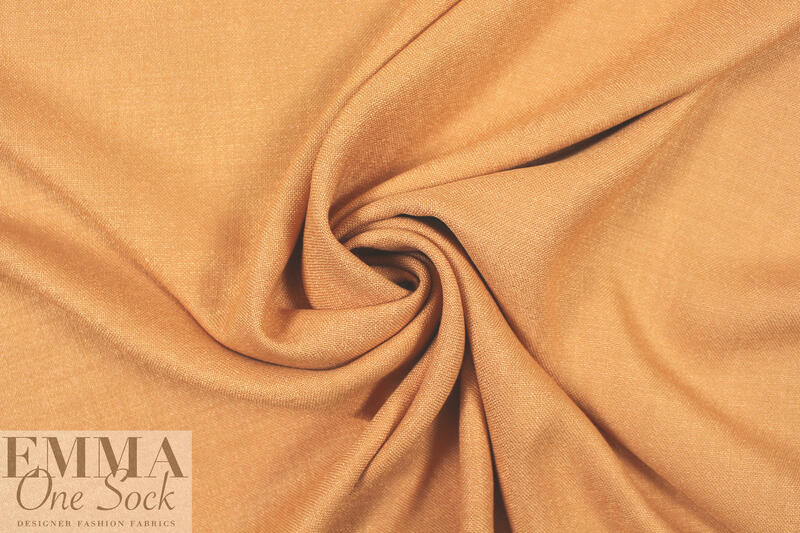 It is opaque and medium weight, has a lusciously soft hand and a very subtle, pleasing sheen. The color is apricot (PANTONE 15-1237-ish). 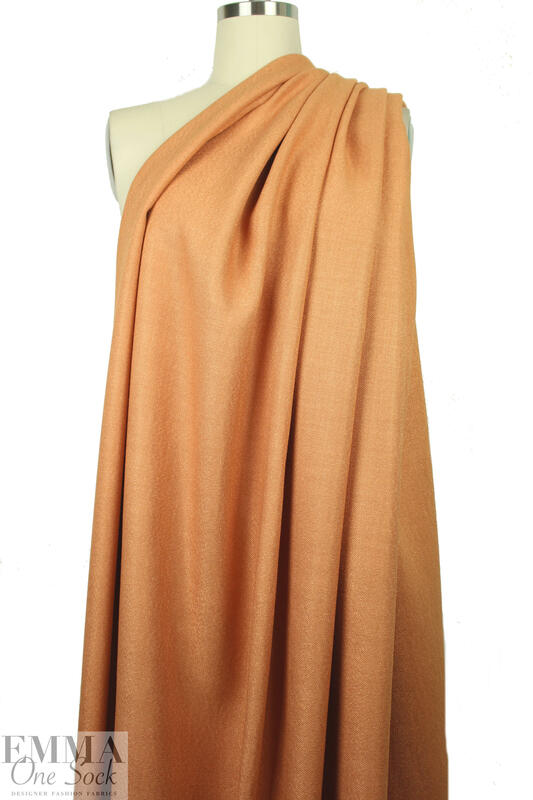 The weight is so versatile, use for any number of elegant and drapey tops or bottoms that can be dressed up or down. Dry cleaning seems best for this; test first if you wish to try hand-washing.